Hi all, I'm after a barrel for a. 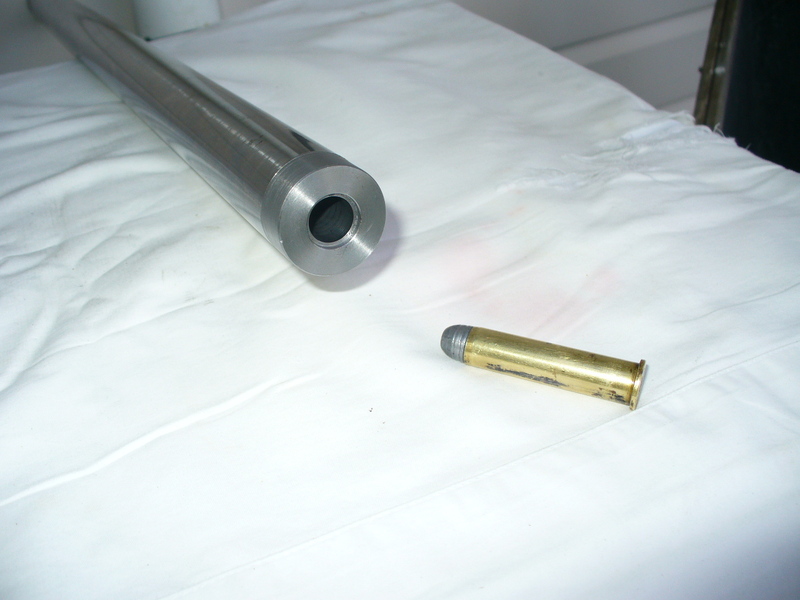 44 magnum project, .429" I think is the actual diameter. Second hand would be fine but it would need enough meat at the chamber end to be threaded to fit a Martini action potentially. have you talked to john @ vulcan? Hell I emailed him back & forth a some years back, after a couple nothing, then out of the Blue he emailed back he hadn't forgotten me ... then he did, nothing for many months/years now ! I would like a couple of barrels off him if he would make the dam things for me ? A 44mag for one & a fast twist 35cal if he does them . Sorry Scout, the old brain gets a bit frazzled at times, could posable do a 27" .44/ .429' bore as I have a drill that comes out at .419". Bad news could take awhile as with this home hobby barrel making I do have stuffed up another power steering pump. Going to redesign my oil system as I`m getting fine steel bits going through the pumps. Now my barrels are not top of the range, I never know how good there will be until some one starts using one, ask Micky. Now, for the deal of the year and to get you up and running but only if you change your calibre to a more powerful one I have a blank chambered for 45-70, 27" barrel the same as Micky`s one looking for a home. It`s 1/14" dia round stock 4140 moly, so plenty of meat for your Martini action, I`ve lapped the hell out of it with diamond past to smooth things out and lapping number two at the moment, will chamber it also. tommygun, Tommy and Micky Duck like this. Fun with a capitol F ........ .45/70 Has surprised the heck out of me....so simple to load hot or mild.....them hunks of lead look like hapuka sinkers. I could be tempted by 45-70, how much do you want for it? I`m selling them for $300 +pp, it has a twist of 1-18", six grove hand cut rifling , bore is .458" at breach end and .457" muzzle end, both ends have been machined true to the bore. I like the looks of that, PM coming . 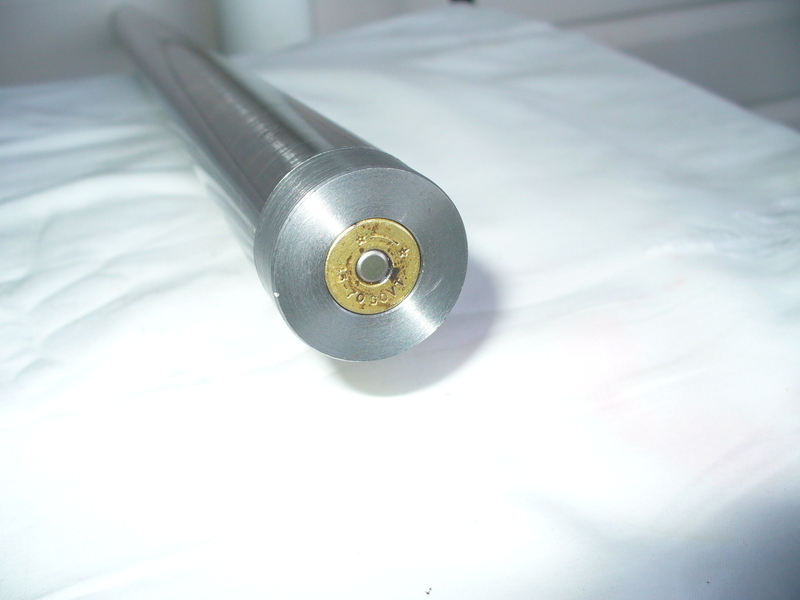 FS: TC Encore 15" .44 Magnum barrel for sale. FS: 300 Blaser Magnum barrel, dies, brake etc.